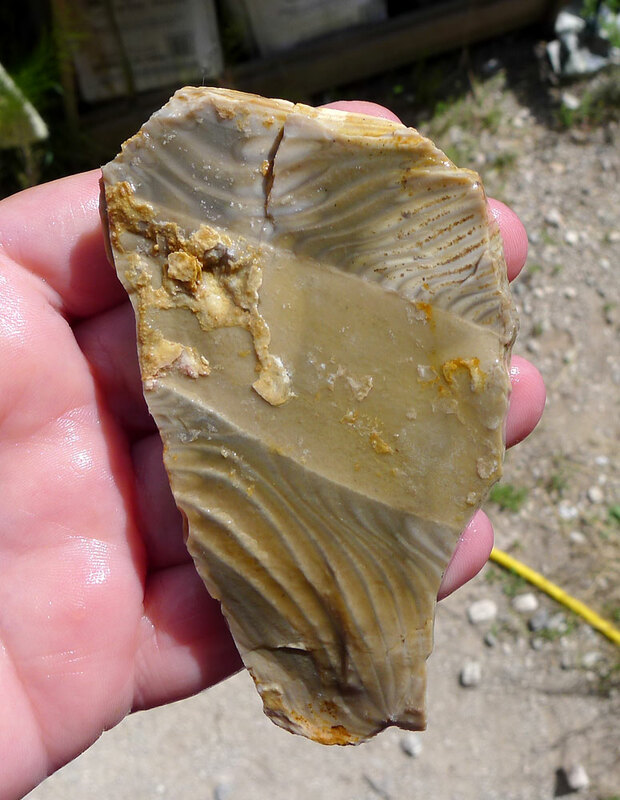 Polish Flint Slab End Cut for Cabochon makers, Lapidary artists, or those who collect Unique Raw Stone Slices. From Poland, this flint features beautiful picturesque striping and bands of swirling patterns in cream, taupe, grey and brown. This unique one-source gemstone material makes intriguing cabochons. 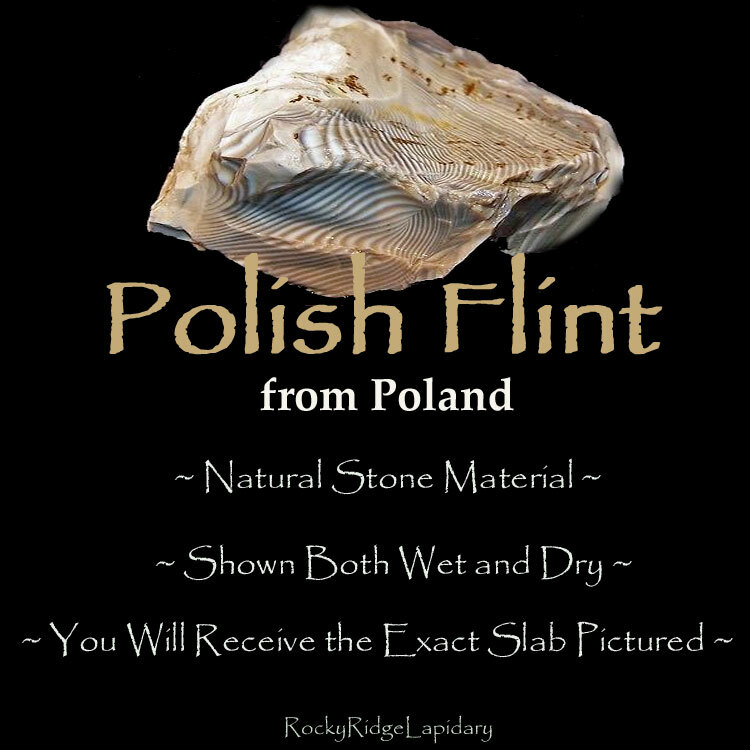 You'll receive the EXACT Polish Flint Slice Pictured. Weight : 2.6 oz. - 75.9 gr. 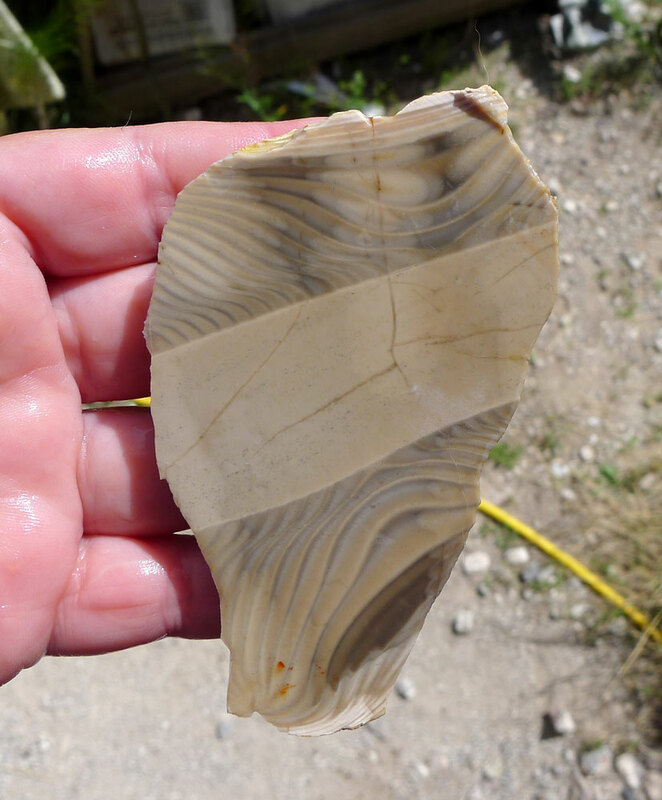 Polish Flint, also called striped flint or banded flint, was formed in the Jurassic limestone in the Sandomierz region of Poland approx. 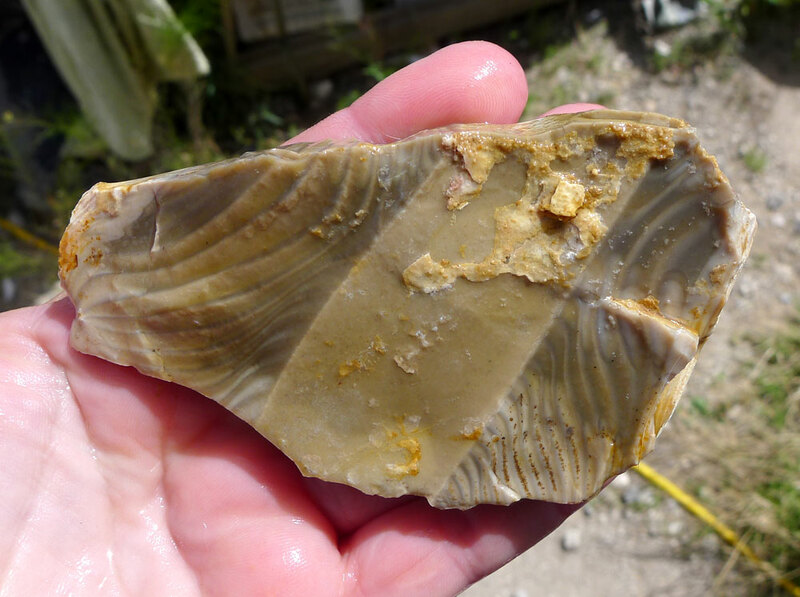 160 million years ago. The irregular banding creates extremely picturesque internal structures making very special designer cabochons.